Apparently Let's Slang was previously released, but I don't have that to compare. It's a midnight blue jelly with a red/green/gold unicorn pee shift. You can still see some slight VNL with three coats, but that's what you usually get with a pure jelly finish. The nail line is much less pronounced in real life as the bright light tends to accentuate everything. Let's Slang appeared to be the most opaque of the polishes released, so keep that in mind if VNL bothers you. The formula was perfect, and removal was simple. With You Dew You you'll be able to turn any creme polish into a unicorn pee polish. It's a clear topper meant to spruce up any color. I used black for the photos above, but you can use any color as your base (just remember, the lighter the color, the less apparent the shimmer will appear). This is just 1 coat of You Dew You, but you can add a second to add intensity. I had no issue with the formula, and removal was a breeze. While I really liked both polishes, my top recommendation is You Dew You. Somehow these are still for sale, so get them while you still can. 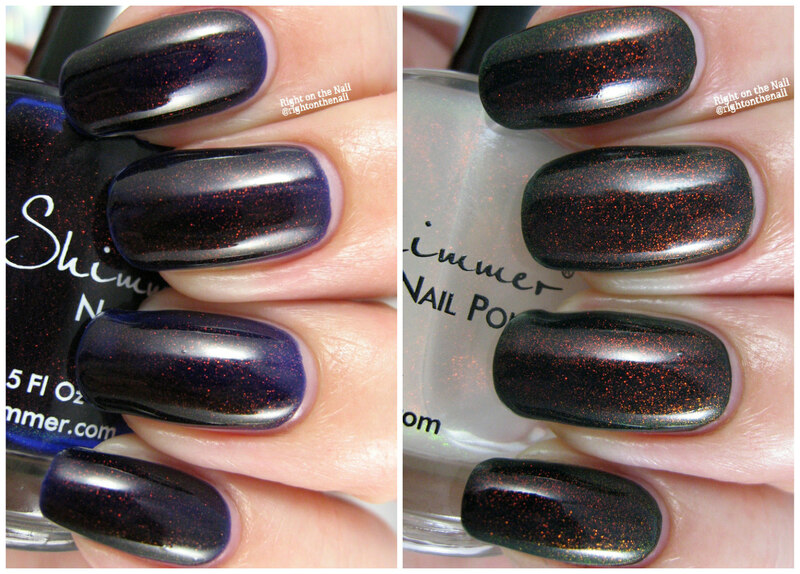 The KBShimmer Fall Collaboration collection was just released today look for that as well. Make sure to check out KBShimmer's website, Facebook, Twitter, and Instagram pages for more information.